Anvil was founded two years after Google officially launched as a search engine and the same year AdWords unveiled. As one of the oldest search engine marketing agencies in the Pacific Northwest, and one of the most award-winning in the United States, Anvil prides itself on its ability to delight customers and consistently generate measurable results. While Anvil specializes in analytics, search engine optimization (SEO), paid media and organic social media strategy services, we provide a full-service approach to integrated marketing. 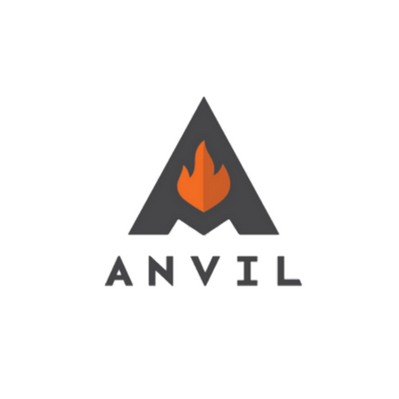 Anvil also offers services for email marketing, content marketing, customer journey mapping, podcast program auditing, and website development. Our measurable marketing service offering is built on a client-first philosophy. We’ve built a team of talented marketers, all trained and certified in the dark arts of digital marketing, and are aligned to The Anvil Credo. Not only are we a growth-minded team, we are a teaching organization who is deeply invested in the local community. Our executive team has nearly 70 years of collective marketing and management experience, which has lead to a healthy and productive company culture. If you’re looking to take the next step in your marketing career, consider joining the Anvil team. In the meantime, feel free to visit our News & Events sectionto check out industry events, Anvil’s latest news and press coverage. Our purpose, vision, mission, and core values are guiding principles that we live by every day. If they resonate with you, talk to us. Purpose: Challenge Accepted! After much pontification and hearty discussion, we agreed as a team that we jump out of bed in the morning to tackle and solve problems. We most often solve client problems via measurable marketing, but we are most inspired and engaged when anyone approaches us with any challenge. What is yours? We accept your challenge! Commitment: We’ve found our clients value commitment above all else. We at Anvil feel the same way about our team and our clients. We’ve created a culture that values employees first and foremost. This drives employees to build genuine relationships that are focused primarily on client success, which, in turn, fuels Anvil’s future growth. Passion: Anvil brings passion to every facet of our work. We live for digital marketing, data, and generating results. Most importantly, we have a passion for delighting our clients. This translates into responsive customer service, deep industry insights, and/or becoming a customer of our clients. Growth-Mindedness: At Anvil, our team has an unprecedented thirst for learning. We never stop learning, so we never stop growing and evolving. Our growth-minded nature allows us to continually improve our ability to delight and elevate clients.